I’m not going to lie to you. I’m a lucky girl. Sometimes I get to try things I’ve never even seen before. 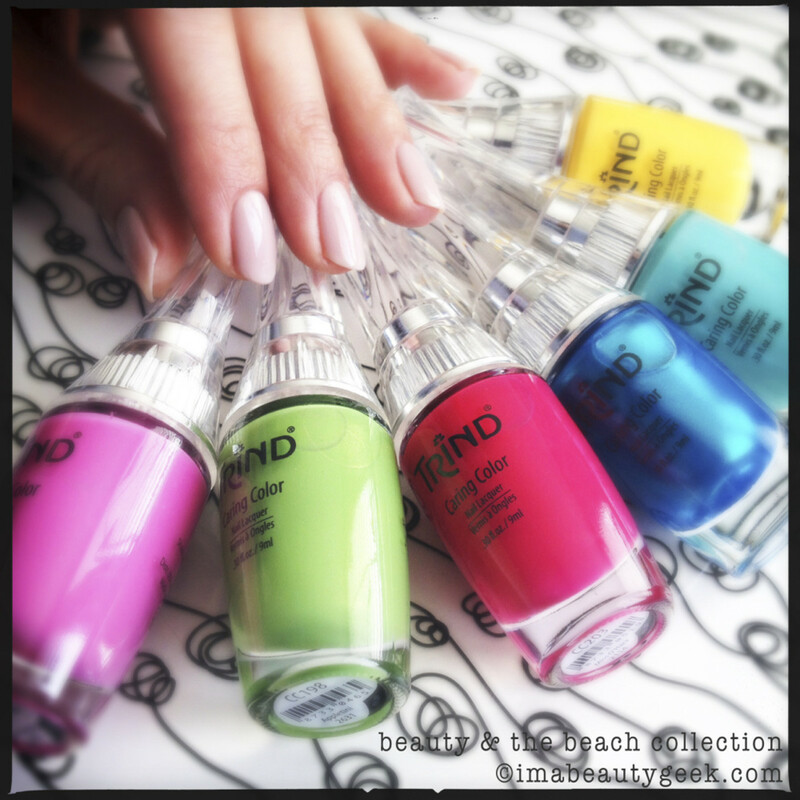 Trind polish (aka Trind Caring Color) from the Netherlands is one of those things. It’s only been available in Canada for about two months and guess what? Yep, I’ve got the whole brand spankin’ new Beauty & The Beach spring/summer 2014 collection to show you! Once I open the bottles and pull out the wand, I realize the wand is little longer than I’d like (it often leads to polish blobs running down the wand and onto the brush). Then I get to gettin’ it on. Hmm… creamy. Hmm... thick. Hmm... tricky. Apart from Surf’s Up, all of what you see here is two thick coats. Surf’s Up is the only non-crème polish in this bunch. The pigment on everything is über-good, the self-level is average, and (again, apart from Surf’s Up) the application process is slow. It&apos;s impossible for me to do 3 thin coats to get perfect coverage; I&apos;m forced to do two thick ones. 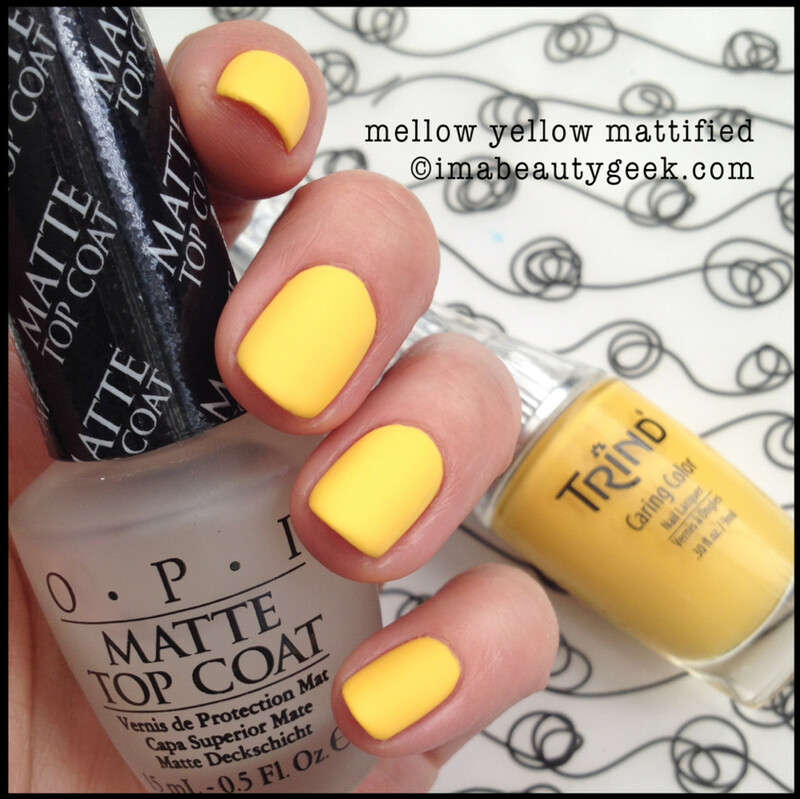 Trind polish Mellow Yellow with OPI Matte Top CoatOoooh! Mattified sunny solid yellow! If you look closely at the cuticle line, you can see little gaps and uneven application at the base of many of the fingers. It’s true – I’m not that great with crème polishes. There you have it – my first go-around with this new-to-me Trind polish. I haven’t yet decided if I’m a fan. 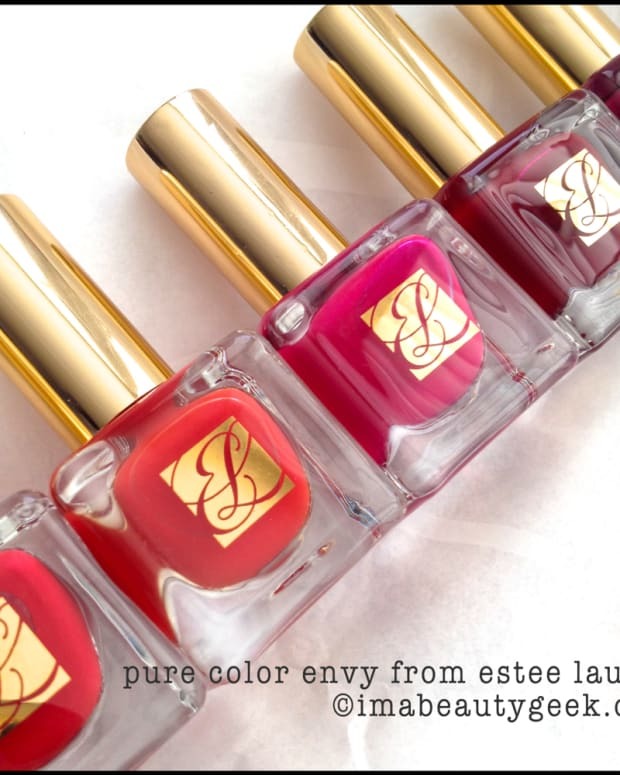 It’s awfully pretty in the bottles, the pigment is great, and it’s got beautiful shine. Application for me is tricky on account of this being a crème-heavy collection but if you go slowly enough, you can get an almost perfect result. I do however, adore the simplicity of the shades – they’re wonderfully uncomplicated and really quite fun to look at. 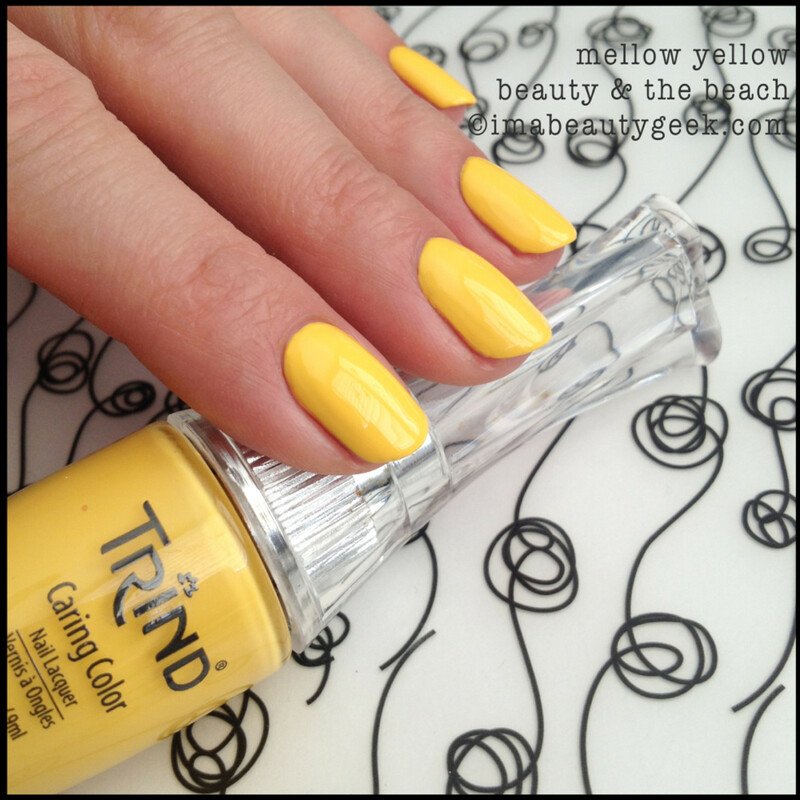 Trind’s Beauty & The Beach Collection will take you from spring all the way into summer. 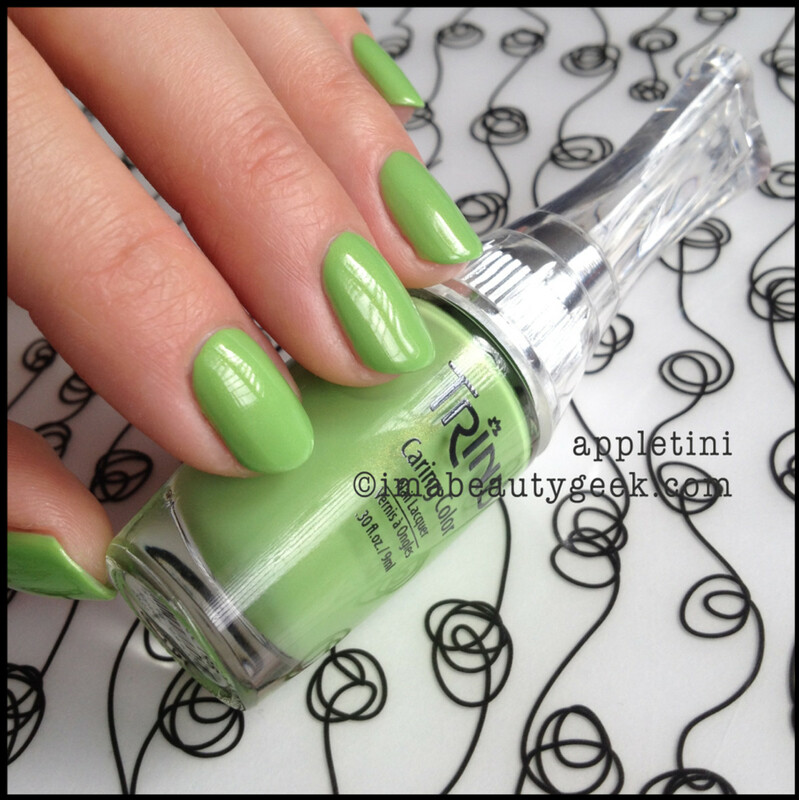 In Canada, the Trind polish Spring/Summer 2014 Beauty & the Beach Collection ($13 per shade) is available at www.nailpolishcanada.com. Visit trind.ca for more online and spa locations in both Canada and the US.